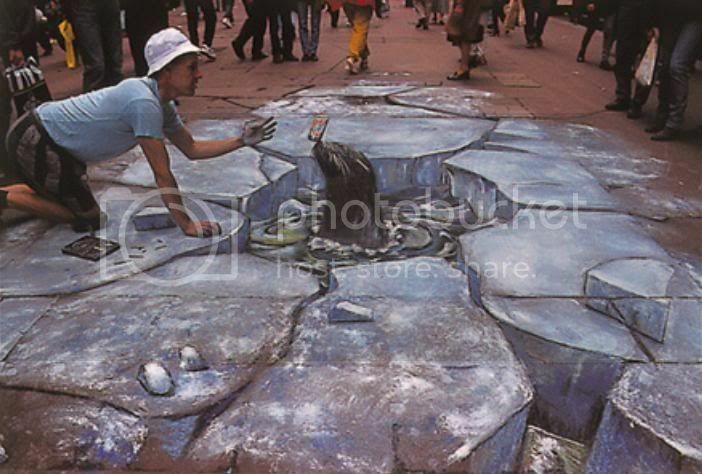 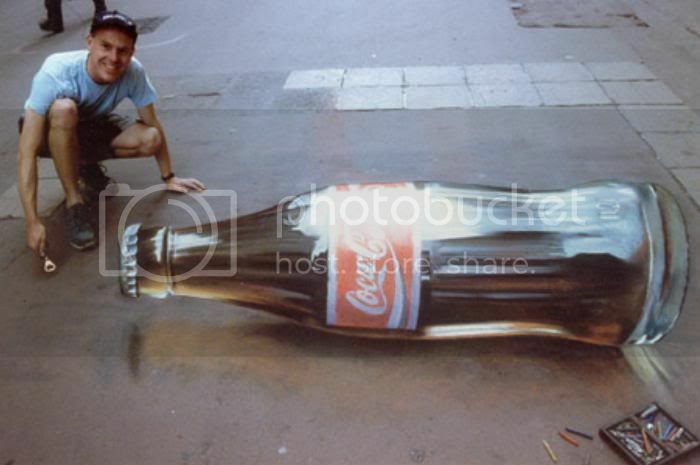 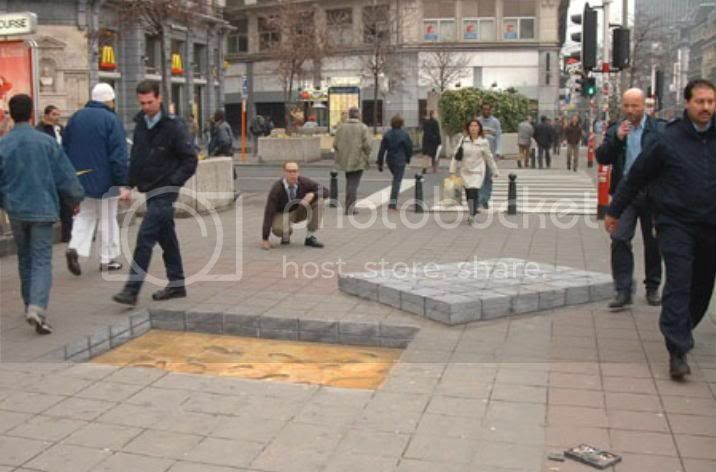 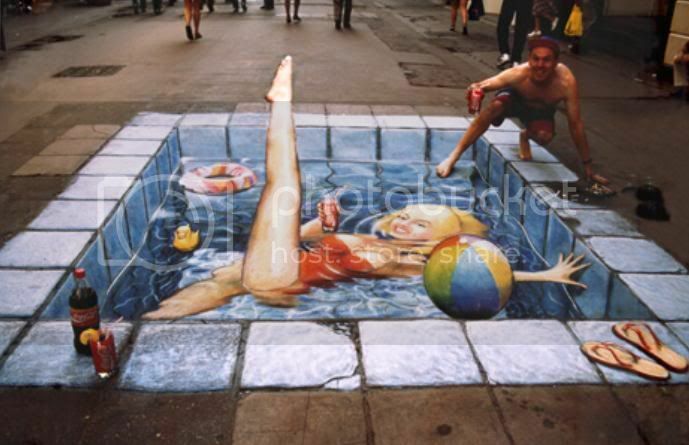 Behind the below cut are several pavement drawings done by a UK artist, Julian Beever. 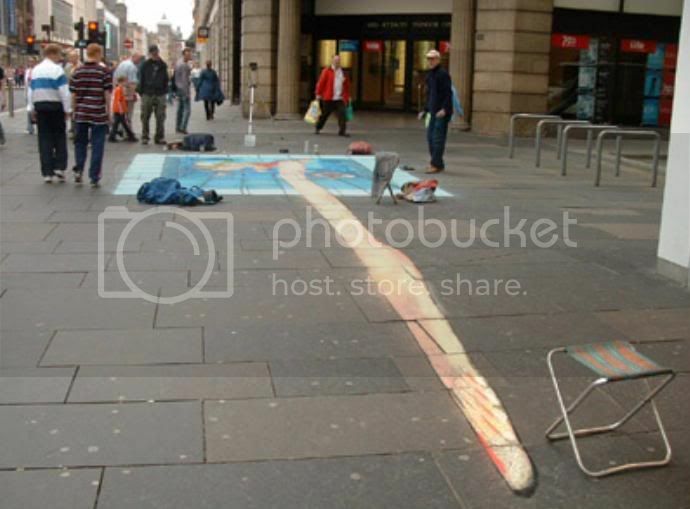 His chalk drawings on the pavement differ from those of most people in that they are all done in a distorted fashion so that when they are viewed from a particular angle, they create the impression of depth. 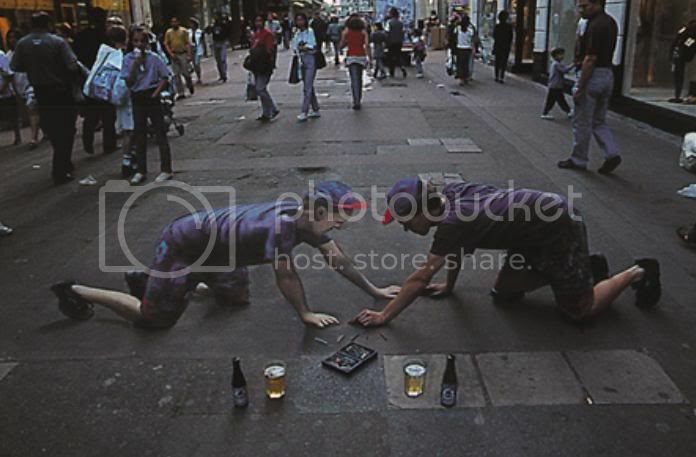 Many pics lurk behind this cut - prepare your browser for bandwidth doom if you are on a modem.